When Raenell McDonough was seven years old, she was introduced to the piano and hasn’t looked back since. She began studying the organ in high school, furthering her musical capabilities and eventually leading to an illustrious career as an organist, pianist and music educator. Ms. McDonough continued her education at West Texas State University, where she earned a Bachelor of Arts in music education in 1968 and a Master of Education in 1971. She became certified in both elementary and music education, enabling her to share her passions with the younger generations. Ms. McDonough has been thrilled with her success throughout her career. She is presently working part time at Texas A&M University as an organ instructor and a humanities teacher, and has been a pianist with the Amarillo Opera since 1989. 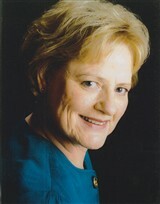 Prior to these positions, Ms. McDonough was a coach, accompanist, and instructor of music theory and organ at Amarillo College from 2000 to 2016, and a music educator, piano accompanist, and performer at West Texas State University from 1973 to 1989. Between 1968 and 1973, she taught music at the Amarillo Independent School District. To keep abreast of all of the happenings in her industry, Ms. McDonough has held membership in numerous organizations, including the Amarillo Symphony Guild, the Texas Community College Teachers Association, the West Texas State University Friends of the Fine Arts Association, the Amarillo Little Theatre Guild, Friends of Aeolian Skinner in Amarillo, the Amarillo United Citizens Forum, and the Amarillo Youth Choir Organization. She is active with the Amarillo Art Force, having served as secretary of the executive board since 2006, and with the Amarillo Opera, having been the secretary of the executive board and a trustee starting the same year. Further, Ms. McDonough has served as the dean of the Amarillo chapter of the American Guild of Organists since 2015. For more than 40 years, she was the organist and music coordinator St. Paul Methodist Church and was honored at a music recital in 2008 for this longtime dedicated service to the church. Notably, she was the only female who performed at Saint Paul Methodist Church’s Lenten Bach series in 2017. For excellence in her field, Ms. McDonough was recognized by the Outstanding Young Women in America in 1980. She received the Bill and Louise Dee Volunteer Award from the Amarillo Opera in 1997, and was the recipient of the Who’s Who Lifetime Achievement Award in 2016. She is also featured in Who’s Who in the World and numerous editions of Who’s Who in America and Who’s Who of American Women. In her spare time, Ms. McDonough enjoys theater, reading, crafts, and traveling.